The museum suffered a great loss on March 5 with the passing of trustee Alan Tomonari. Known as Al, he was instrumental in opening Neiman Marcus in Hawai‘i in 1998 and served as its vice president and general manager until he retired in 2015. With a storied career in retail fashion, it is no surprise that he brought panache and business savvy to the museum’s board. Museum staff extends its deepest sympathy to his wife Joyce and her family. Al joined the board of The Contemporary Museum, Honolulu, in 2001, and remained on the joint board when the museum merged with the Honolulu Academy of Arts in 2011. He was a valued member of the Buildings and Grounds, Finance, and Investment committees. Al was also an art connoisseur, creating a collection for Neiman Marcus that includes works by Satoru Abe and Tadashi Sato, as well as a personal collection. Born and raised in Honolulu, Al attended Roosevelt High School and the University of Hawai‘i, earning an MBA. He began his retail career at Liberty House then moved to California where he worked for Macy’s as a buyer and rose to vice president of men’s merchandising for Macy’s East Division in New York. Like many of the museum’s trustees, Al had a strong sense of community and was involved in many nonprofit organizations in addition to HoMA. His past board involvement includes the Rehabilitation Hospital of the Pacific, Retail Merchants of Hawaii, the Air Force Civilian Advisory Council, Aloha United Way, American Red Cross, Japanese Cultural Center of Hawaii and the YMCA. 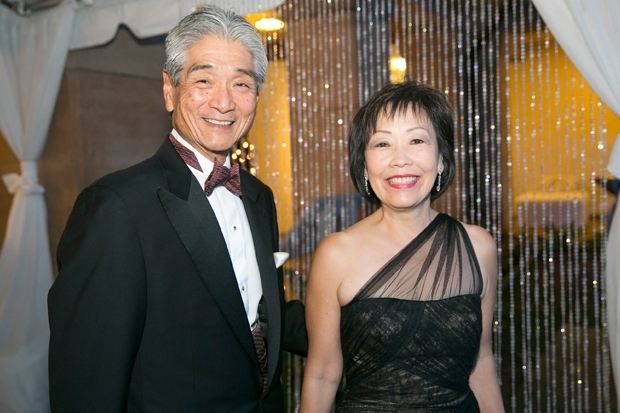 Al and his wife Joyce, who leads the museum’s floral team, were a perennial elegant presence at the museum’s Kama‘aina Christmas gala. And that is how we will remember him.